BASIS Independent Silicon Valley attended the Speech & Debate Middle School Championship Tournament in Oakland for the first time this year. Six students advanced to State Finals and received Individual State Finalist Awards, two of these students also received Individual State Champion Awards. The debate team participated in the Western JV National Tournament held at San Francisco State University and took 2nd place in the Public Forum debate. Two students competed in the Santa Clara University Spring Tournament and became quarter finalists in the Lincoln Douglas Debate. In the same tournament another student took home 2nd place in Original Oratory and became a finalist in Dramatic Interpretation. Two students on the Speech & Debate team qualified for the Coast Forensic League State Tournament in Original Oratory. One of these students also qualified for three National tournaments and represented BISV at the Tournament of Champions (TOC) in Kentucky, National Individual Events TOC in Denver, and National Catholic Forensic League (NCFL) tournament in Sacramento. Two students participated in the NCFL Tournament in Sacramento and qualified for the Grand National Tournament. 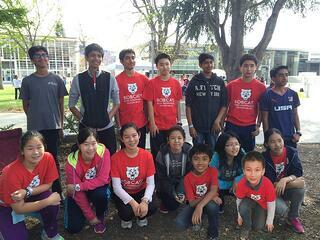 BASIS Independent Silicon Valley students who participated in the Middle School Science Bowl won three rounds with excellent scores. The BISV team who participated in Science Olympiad Division B had an overall team standing of #8 (#5 as distinct school) among 32 teams with the students placing in top positions in seven events. 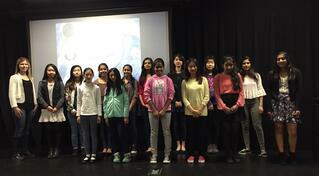 Members of the student led Neuroscience Club participated in the Regional Brain Bee competition placed 2nd and 3rd. A BISV 7th grade student took home the Project of the Year - Junior Division at the California State Science Fair with a project titled Force Sensing Techniques for Robotic Arms. 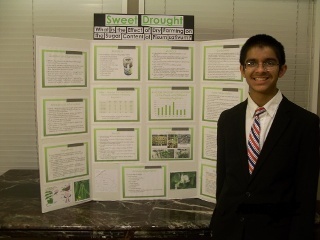 A BISV 9th grade student was named as a finalist in the 2015 Broadcom MASTERS competition for his project "Sweet Drought: Effects of Dry Farming on Sugar Concentrations in Pisum sativum." Read more about this amazing project here. 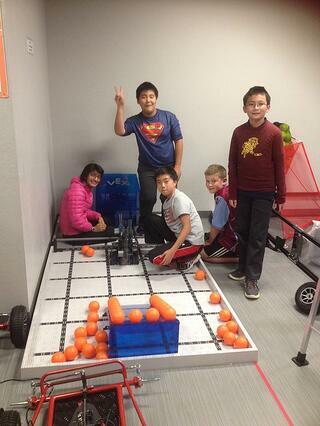 VEX-IQ team received four awards in Nipomo and six students on the team were eligible to compete in state level competitions. 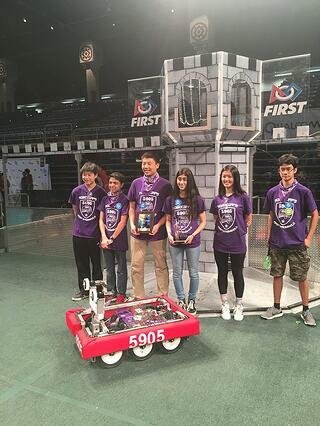 The First Robotics Competition (FRC) team founder was nominated as 2016 FIRST Dean’s List Award Semi-Finalist by FRC team mentors. He qualified to be a finalist at the competition. Of the 83 BISV students who took the National Latin Exam, 55 received commendations; including three students who received perfect scores. A third of these students earned medals for their scores. Our Latin students are performing with arête and sapientia in national competitions. 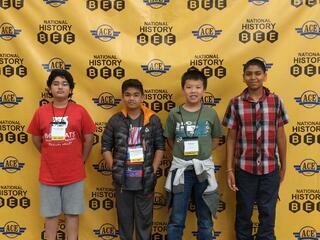 HISTORY: BISV NUMBER ONE AT NATIONAL HISTORY BEE! 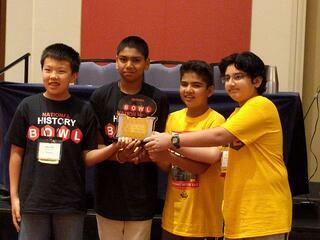 BISV students won the National History Bee held in Chicago! To get here they first had to pass a qualifying exam, then compete in regional finals, and finally move on to the national competition. About 400 top math students participated in the MathCounts competition (the biggest Middle School competition in the country) and nine BISV students ranked in the top 25 percentile, with one BISV student advancing to the state level competition. This student went on to place 8th at the Northern California MathCounts State Competition held at Stanford University. Nine of BISV’s AMC-10 students qualified for the American Invitational Mathematics Examination, one of these students received a perfect score. 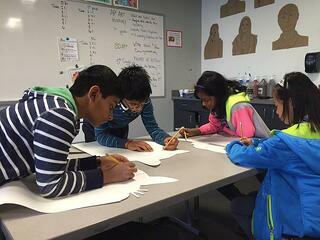 Two BISV students qualified for the USA Junior Math Olympiad. 26 students were inducted into the National Art Honor Society and Junior Art Honor Society. BISV students competed in the Scholastic Art and Writing Award’s West Region-at-Large which includes California, Colorado, Hawaii, Montana, Oregon, Utah, Washington, and Wyoming. Students received Honorable Mention awards and Silver Key awards for drawings and mixed media works. BISV celebrated a huge first milestone for BASIS Independent Schools this year as we sent off the very first graduating class. There is an entire blog post dedicated to this year's college admissions. Have a look here. 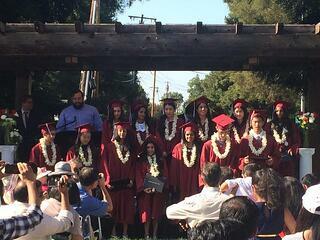 Congratulations to the students and faculty of BASIS Independent Silicon Valley for an incredibly successful year! Sign up for Eureka! Fremont to receive our blog posts fresh in your inbox.